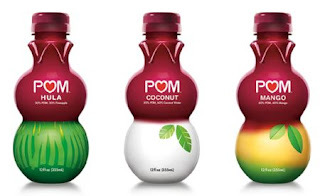 Recently POM added 3 new juice blends to their already awesome line of products. I was given the opportunity to try all 3 new flavors, and I love them all, especially the POM Hula, it is definitely delicious. POM Juice Blends are available for $2.99 SRP in the refrigerated aisle of the produce section at leading grocery and mass retailers in major cities across the country. The product will continue to roll out in additional markets this fall. To learn more about the new Juice Blends and the 'Yum in the Sun' party, visit www.pomwonderful.com or follow us on Facebook (www.facebook.com/POMWonderful) and Twitter (www.twitter.com/pomwonderful) with #POMYumBunch.